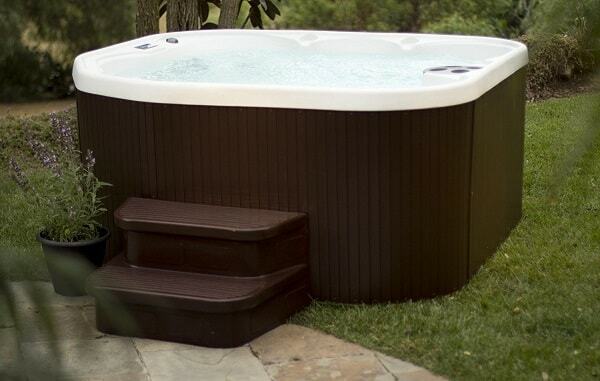 Lifesmart is one of the best hot tub manufacturers that you can consider when you are about to purchase a hot tub. 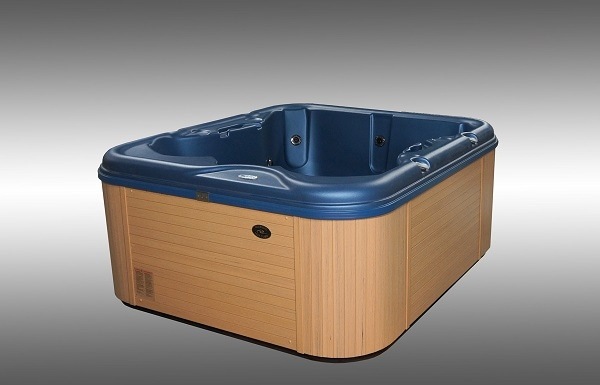 It offers the durable, lightweight, and easy to maintain spas which are offered at a price. The hot tubs product from Lifesmart offers you less energy consumption hot tubs with its EcEco-Smarteautures that can manage the energy system efficiently. The Lifesmart Rock Solid Simplicity Plug and Play is one of the models manufactured by Lifesmart. The ‘Plug and Play’ tag of this model means that this spa is easy to install, without any requirement of additional wiring and plumbing. 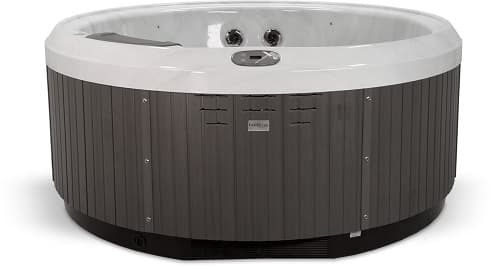 The tub has 110 volts operation, just simply fill the tub with up to 340 liters water and plug into the 110 V circuit, then wait for about a day until the tub reaches the set temperature. It means the installation cost and method are really efficient. 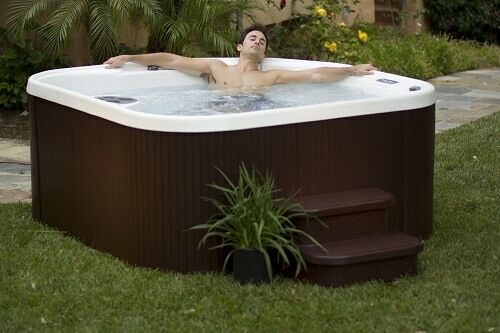 Lifesmart Rock Solid Simplicity Plug and Play is a well-built hot tub. It is made from sturdy plastic that is very durable which is called Rock Solid Shell and Eco thermoplastic. 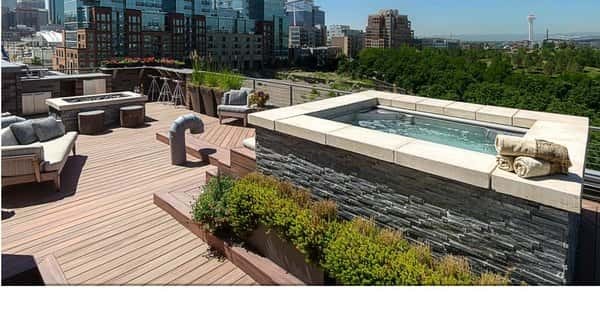 Moreover, the design of this strong hot tub is very attractive with the sand color that will match up the natural surrounding if your backyard. 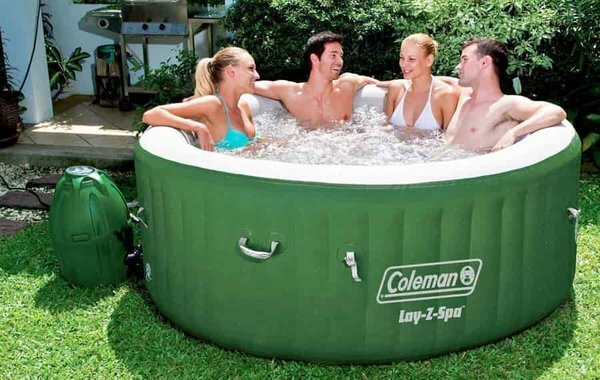 The tub has 61 x 70 x 32 inches dimension with 286.5 pounds weight. 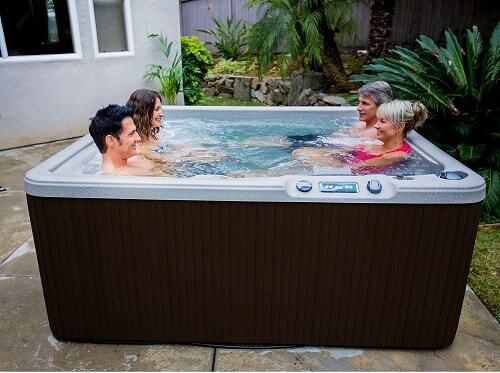 It fits for up to 4 adult people, so you enjoy your relaxation time with some of your loved ones. The waterfall along with red and blue lighting of the tub beautifully entertain you to give the incredible spa experience. Control all the spa features from the Deluxe Balboa digital controls from setting the water temperature, adjusting the jets to activating the waterfall and mood light. The panel is placed on the top side of the tub which is convenient to access. To maintain the body, you need to place a wood level or just a mat to protect the spa touches the ground. Lifesmart Rock Solid Simplicity Plug and Play comes with 12 hydrotherapy jets. 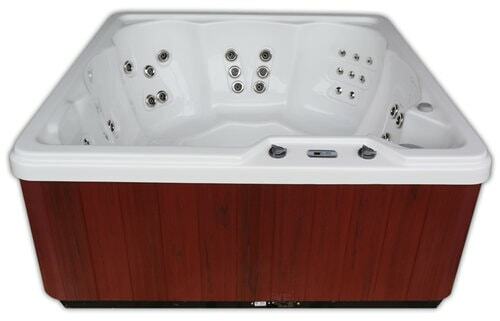 The jets are adjustable and can be set up to maximum power to give you the best relaxing sensation. The powerful 1.5 HP pump works nicely without making annoying noise while you soak your body. The heating pump united with the circulating pump. You can set the maximum temperature at 104 degrees F that the tub reaches in about a day with approximately 2 to 3 degrees F temperature rise per hour. 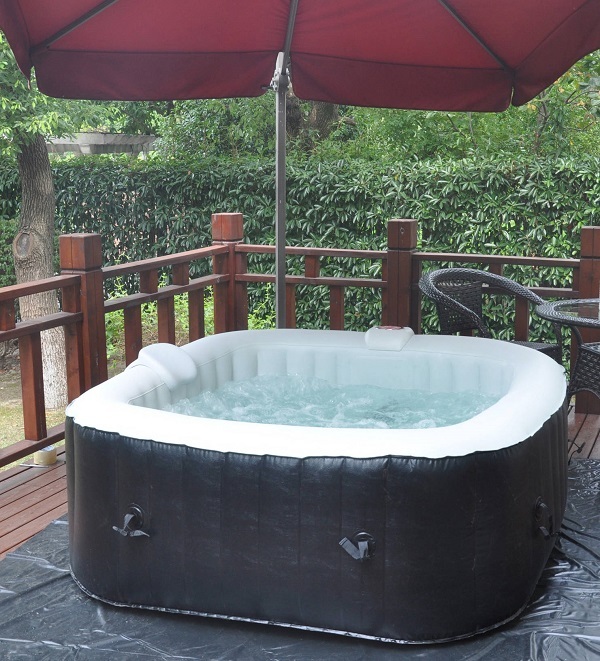 The tub can be used in a snowy cold weather because it is equipped with full foam insulation and thermal cover that keeps the heat optimally. This Lifesmart Rock Solid Simplicity Plug and Play is sold on Amazon with $2,499 price tag. The tub offers you the great spa experience with its strong jets, built-in seats, beautiful lighting, and the stunning waterfall features. 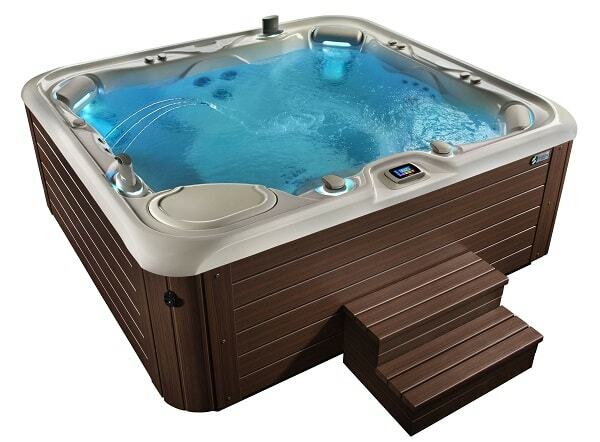 Simply put, this model is really a smart choice hot tub to place in your backyard. 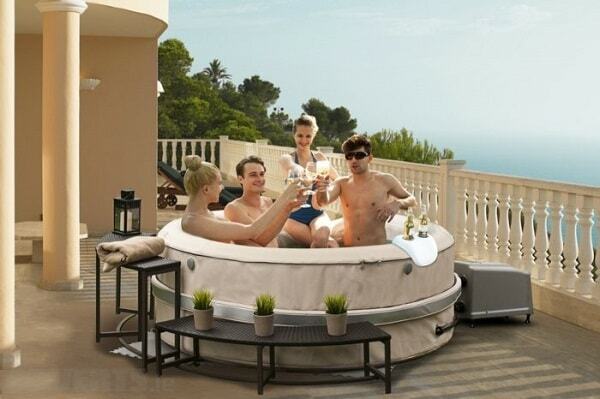 Thanks for checking out our Lifesmart hot tub reviews!